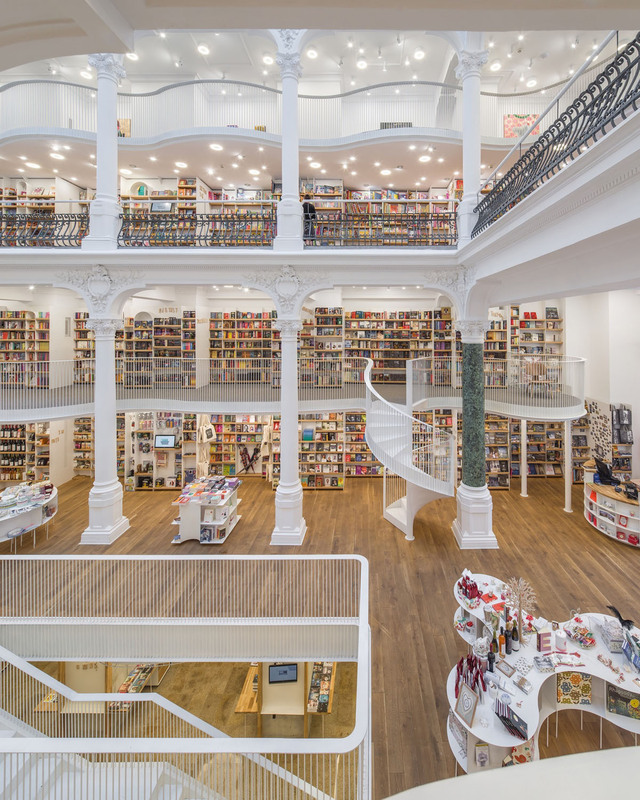 Located in the old city center of Bucharest, Romania, a former bank built in the 19th century was transformed into a bookstore by Square One. 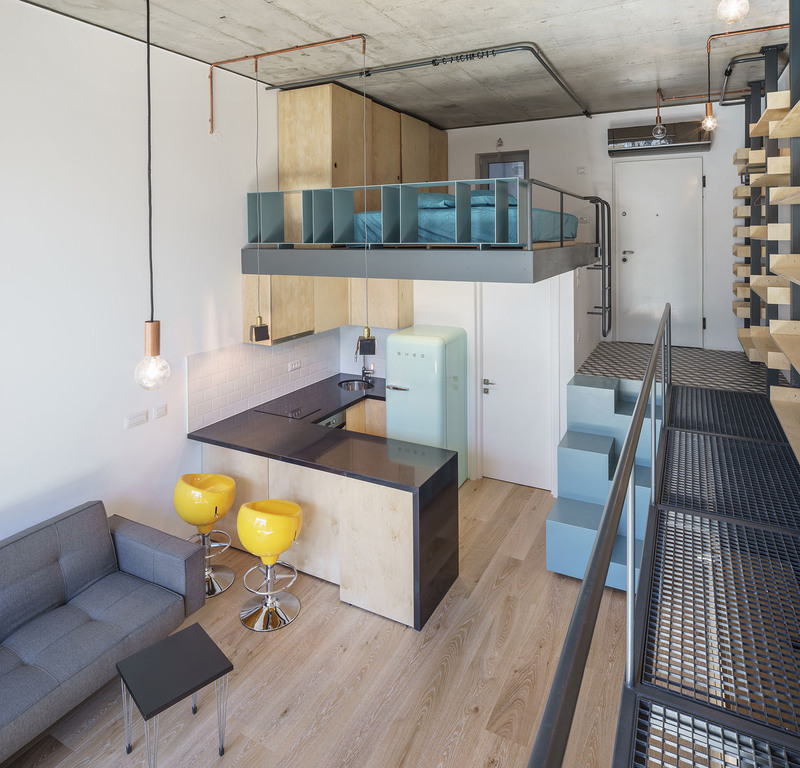 This small studio apartment unit is part of the Dogarilor housing project in Bucharest, Romania designed by ADN Birou de Arhitectura. 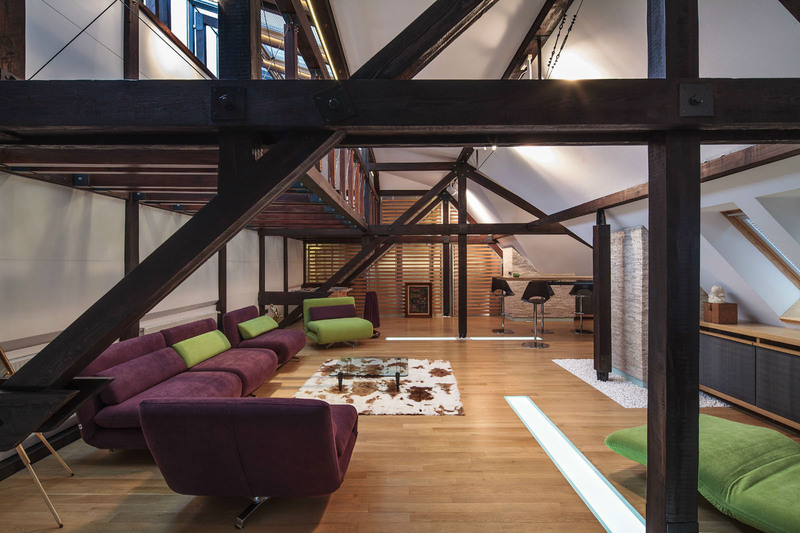 Located in a 1930s building in Bucharest, Romania, this renovated loft apartment with high ceilings uses interior wood structure to define its attic space.